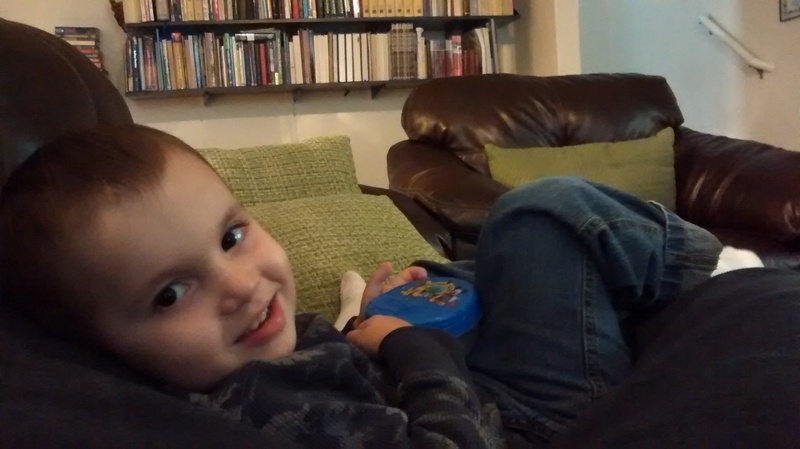 Weekly Happenings: Not too much has happened between my last blog post which was mid week and today. After we got home from Houston, we relaxed for a bit and then headed out to eat (there are several places that give free meals to veterans on Veterans’ Day). We went out to Olive Garden since we also had a gift certificate that Jason had given us for our birthdays (thanks again, Jason) that we could use to pay for me and Joseph. After we were done eating, we headed out to Cavender’s Boot City. 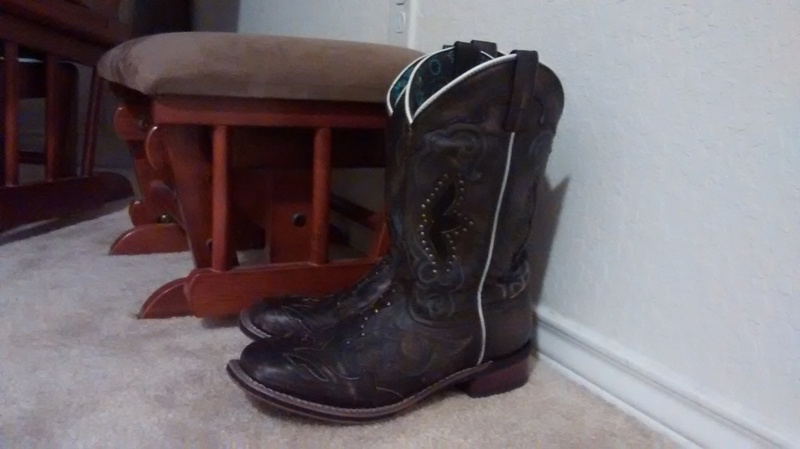 I was planning on just browsing, since I wanted to get a new pair of boots for Christmas (I’ve been saving my piano money), but ended up finding a really good deal on a pair right then. I love them! So I got my Christmas present a bit early, but that’s okay. 🙂 The rest of the week we pretty much stayed inside due to the weather. What Sarah’s Been Up To: I’m continuing to take care of our home and Joseph, as well as keeping up with my callings at church. Handling the visiting teaching routes is stressful at times, but our Relief Society president is such a great person to work with that it hardly feels like work. I’m also continuing to work with the ward choir. We’re having our Christmas program at church on the 14th, which will be great! 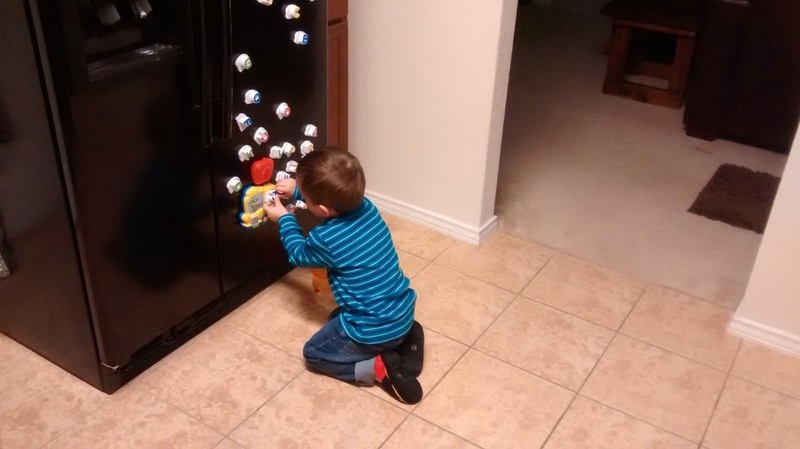 Playing with his fridge phonics toy. This thing is seriously my saving grace during meal prep time. He can be with me in the kitchen, but he isn’t underfoot. 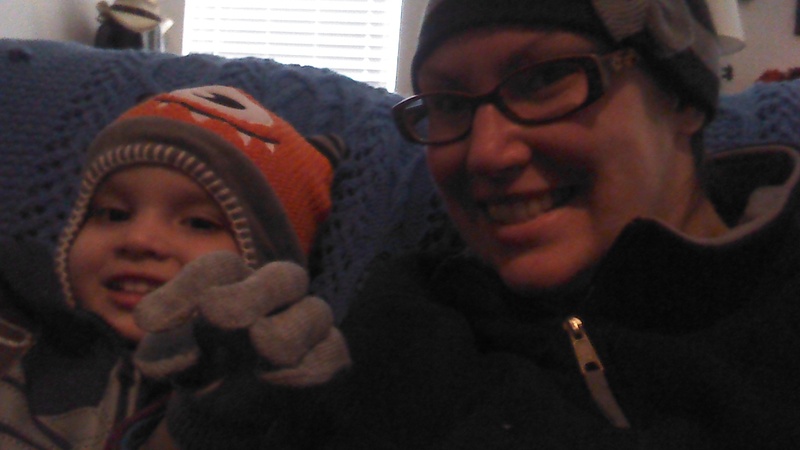 Pulling out the winter gear. 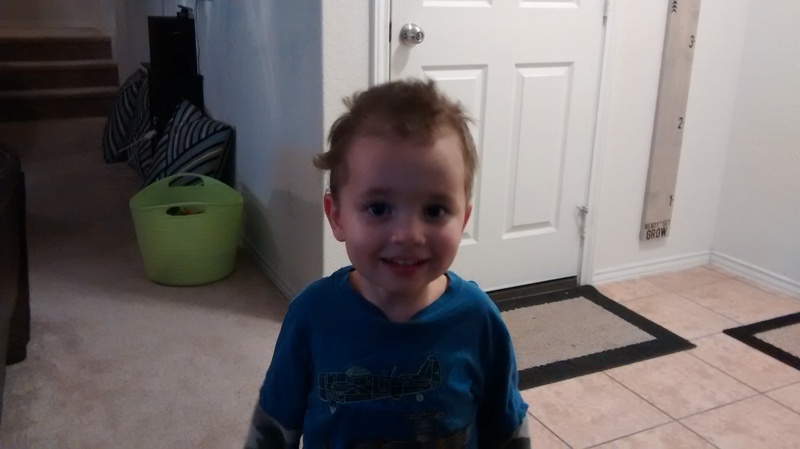 I had to get Joseph a new hat since last year’s hat was a bit too snug to be comfortable. 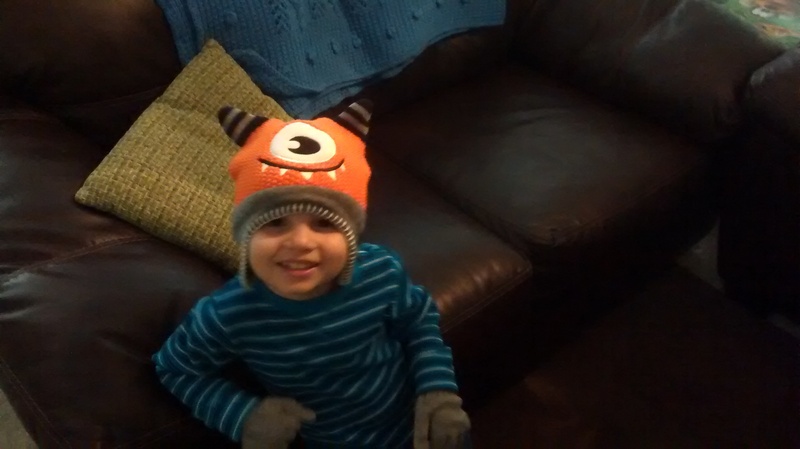 He loves his new monster hat…and the gloves that came with it, even though they are way too big. 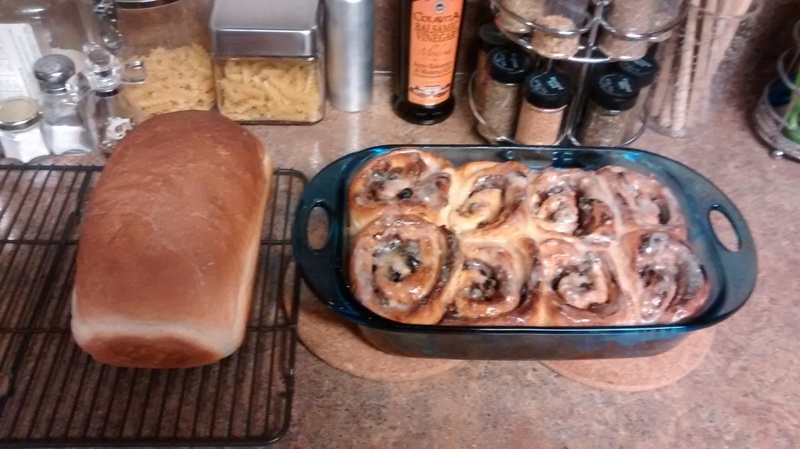 I experimented with cinnamon rolls this week. They turned out super yummy! 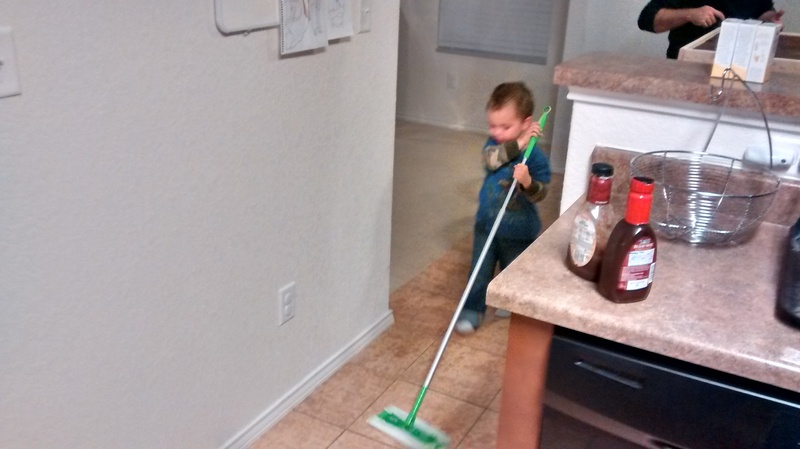 We are securely in the “I do it!” phase…so Paul let him sweep the floor with the Swiffer sweeper.